Do you dream of the days when you can go to sleep without listening to your other half snoring? Maybe you are the one keeping them up at night? Keep on reading and you might just thank us for this! Snoring is the noise caused by the partial closure of the airway due to relaxation of the soft tissue in the upper throat. In some extreme cases, the airways can close partially causing a drop in oxygen to the lungs. Some people can stop breathing all together, when the sleeper starts to breath again they may gasp, choke or snort. Increased risk of mental health concerns. Heightened change of cardiovascular disease. 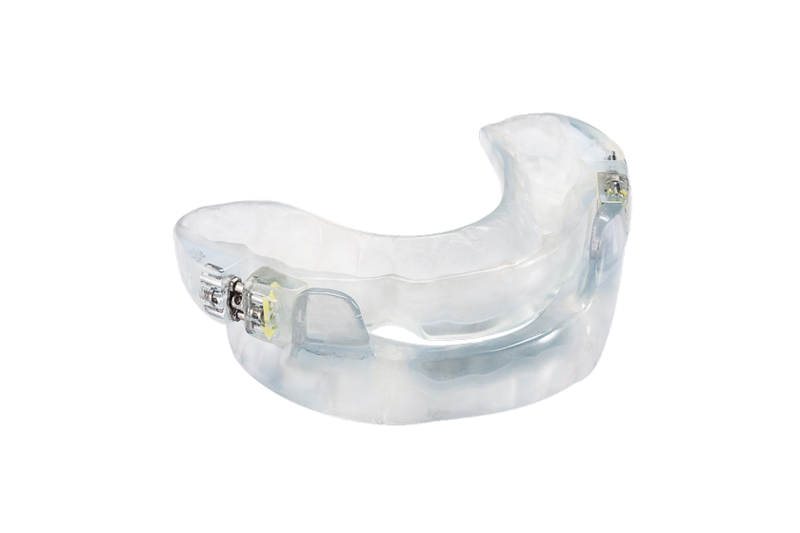 Your dentist will be able to offer a diagnosis and most cases can be solved with a snoring device. This will be worn of an evening and will keep your lower jaw in a stable position. If you still have problems even after using this device, your dentist may refer you to your GP for further investigation.